Before there was a way to order takeout food with your smartphone, before Blue Apron and Peapod sent the makings of meals and grocery orders to your door, there were mobile food vendors aplenty. I’m not talking about the Good Humor Man, the iceman, or the milkman. Or the man who went door-to-door, selling uncooked pizza dough, plastic envelopes of tomato sauce and cheese as a less-expensive alternative to takeout pizza. I mean Serious Food: the Hot Tamale Man! (Incidentally, for purposes of this post, I am — for once — putting aside all possible double-entendres arising from the shape and heat of this filled delicacy, and a tamale is a tamale.) 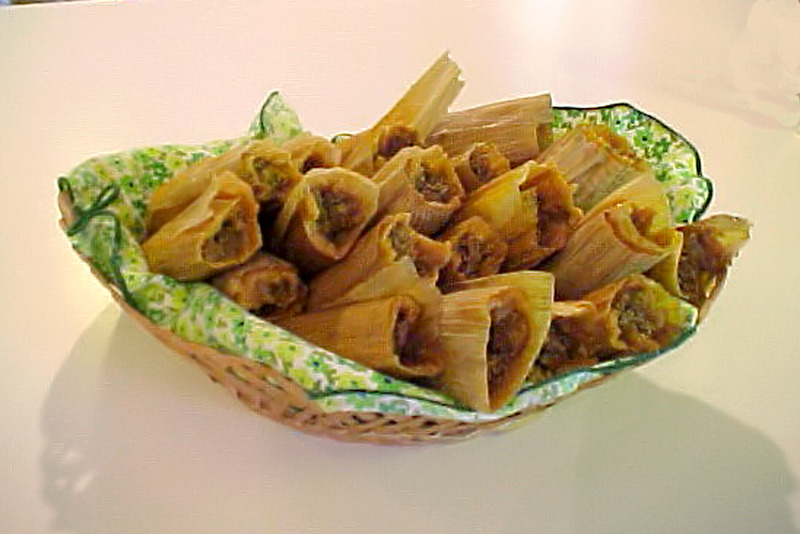 Tamale sellers were a familiar phenomenon in cities, providing passers-by with inexpensive hot meals. When I was Craig Ventresco’s guest in San Francisco more than a decade ago, as we were entering some transit station, he pointed to a woman selling tamales from a small corner stand: pork or chicken, a dollar apiece, and memorable. All that is wondrous historical evidence, but here’s something fresh and spicy: pianist / singer Carl Sonny Leyland and cornetist Marc Caparone’s performance of HERE COMES THE HOT TAMALE MAN at the 2017 Durango Ragtime and Early Jazz Festival, video-recorded by YouTube’s “banjojudy” (that’s Judy Muldawer to the rest of the world) — who recorded a great deal of the Durango Festival, March 24-26, both audio and video, and offers it to us here.